While story wise they haven't made a big deal of the twin reactors in the Gundams, I do think it makes a difference in machine performance. In this universe MS vs. MS warfare has basically 3 tactics due to the Ahab reactors, nano armor and no beam or heat weapons , IMO. 1. Which the show has shown or mentioned, out maneuvering opponent and targeting thruster backpack. Aside from it being the back and not capable of defense with a manipulator or shield, possibility for the fuel to be ignited, and as Mcgillis noted with a novice pilot with an av system wouldn't naturally defend it cause the human body doesn't have one. 2. Sustained team fire. Standard gjallarhorn rifle doesn't cause much damage to nano armor unless you're targeting a joint/weak spot or it is sustained. Seeing as how joint shots are not easy or expected of normal pilots sustained fire it is, but going off what has been shown it looks like you would need a few clips for just 1 rifle to be able to destroy a suit at mid range. But if 2 or 3 suits focus fire on 1, the rifle could prob do the job then, more so if combined with the 3rd tactic. 3. Melee. I think we can all agree this has shown to be the most effective, or at least what most killing blows are. Now if you break down the type of damage melee weapons do into Impact, Puncture, and slash, most of the melee weapons in this universe are Impact (tomahawk, mace, hammer, halberd upcoming new graze has a broad sword). Now while the puncture of Kimaris' lance or the pile driver in barbatos mace prob easiest get throught nano armor, you would need a pinpoint attack on crtical system to be effective, again not the most easy task/skill for rank and file pilots. So impact it is since nano armor seems pretty resistant to slash damage, note the killing blows barbatos made with it's katana style blade were punctures to the cockpit. So my theory is that the main benefit of the 2 reactors and gundam frames are that they are physically stronger, capable of wielding more devastating melee weapons most mp MS can't to overcome nano armor. Aside from the main weapons of Barbatos, Guison and Kimaris other evidence was the scene in ep 17 where barbatos caught the graze coming at it. While Mika and the av system are deff credit to seeing and responding to the attack, between the the speed of the graze as a whole and the and a nearly full swing I would imagine the barbatos would have to be quite stronger for it's own arm not to buckle. Also to fire that cannon and not have the either arm or support arm (doesn't look strong enough on it's own) are blown off, the frame motors and reactor would have to be above par mp MS. Probably why we haven't seen any other ms wielding similar cannon weapons. FinalSin66 wrote: While story wise they haven't made a big deal of the twin reactors in the Gundams, I do think it makes a difference in machine performance. What you say here, yes, definitely this. I knew there were instances of it in the show, as mentioned by my zero and wildcat comment, but couldn't think of any actually observed instances of superiority. I think the Gusion hammer and Macelance are both examples of physical strength for Gundams. Now, these small differences seem minor, but like you say, Final, those little difference allow for Mika to more easily add to his kill count. I'm not sure of I really care for the idea that nanolaminate armor is so resistsnt to guns, that only direct shots are viable. It kinda invalidates their existence no? I think they are still useful even with the use of nano armor. Rifles are useful for the 2 other tactics I mention with the advantage of range over melee. And while nano armor is high resistant to rifle shots, its not a utter uselessness, damage is done by them. Ep 17 Ein shot off armor on the barbatos' arm. But note say a oyw gm or zaku shooting at the other with a 90 or 120mm rifle, the arm would have been shred or utterly useless, where as the barbatos lost just the exterior armor and prob light frame damage. IMO nano armor gives all suits in this universe similar resistance to U.C. luna titanium. Could zakus with rifles take a gundam out with a short burst, no, but would it do some damage, yes. I'd also like to point out we haven't seen a clean hit with the graze bazooka on a moving target, so it's hard to say how much damage they do. Maybe I should have clarified that FOR GUNDAM frames melee is the most effective tactic cause they have the power to deal 1 hit kill blows. But unless a graze had an opening to exploit or no other options than melee, ranged tactics are the best bet for pilot survivebility cause it's easier to dodge from a distance and melee has the risk of a block or counter or hit from a 2nd enemy while engaged with first. nano armor hasn't shown to be significantly stronger for the gundams, with the exception guisons' thicker armor, so if say a graze pilot was able to keep their distance and avoid melee combat they could surely widdle down a gundam into defeat-I got that impression when Mcgilis fought Mika. But that then becomes a case of more who Is the more skilled pilot. Amion wrote: What you say here, yes, definitely this. I knew there were instances of it in the show, as mentioned by my zero and wildcat comment, but couldn't think of any actually observed instances of superiority. I think the Gusion hammer and Macelance are both examples of physical strength for Gundams. It can be explained away by a bunch of specific circumstances, which is why made up a list of speculative factors earlier. I'm just wondering what reasons they'll be - and hopefully it's get covered at all. One of the disappointments I have with the show so far is the lack of clarity about the Calamity War, which is one of my favorite aspects of the series. To be fair, 18 episodes is still less than half way of a traditional four cour Gundam length show so they may be time especially if the show lasts more than two cours or gets a second two cour run, they may have time to cover it. It's one of my favorite aspects of IBO's lore so it would be disappointing to me personally if it doesn't get much love from somewhere, wherever that may be. One of the drawbacks of not having any profile-type sidestories I guess. Gundam0089 wrote: I'm not sure of I really care for the idea that nanolaminate armor is so resistsnt to guns, that only direct shots are viable. It kinda invalidates their existence no? It's does make them less important especially in anti-MS battles but I wouldn't say it invalidates them. If you want to attack againts a base or a location or things that don't have Nanolaminate Armor like mobile workers, guns or ranged weapons will be more effective than melee. They are also still useful for surpression fire which would work well when there is a numbers advantage over the enemy. Besides, I think the Barbatos's 300mm Smoothbore Gun took out a Graze's arm in Episode 17 from mid range. As for the Gundams, well, we will have to wait and see. I guess we could always take this to the very simplistic answer and declare Ahab reactors to be not much different from having two propellers on a biplane. Sure, two are better than one, but not that better. 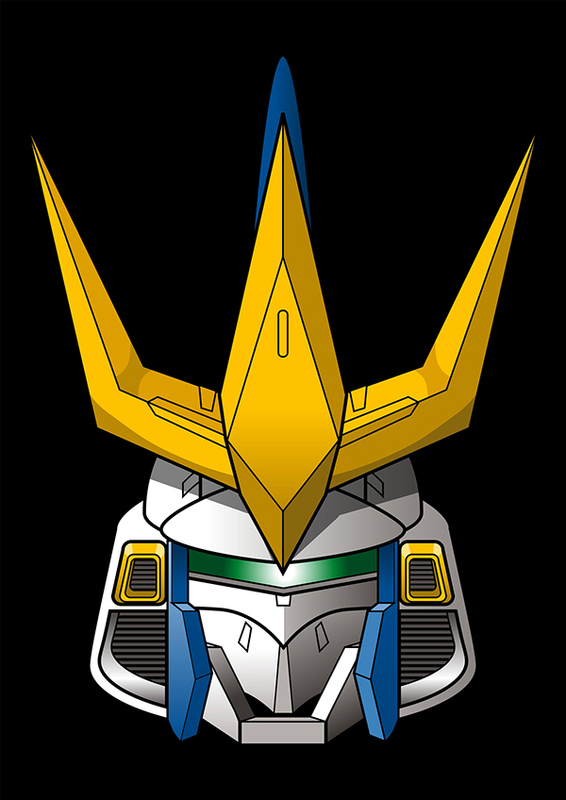 My personal opinion is the twin Ahabs are not working quite like they're supposed to and we get a final boss tuning for the Barbatos that shows us the full potential of the Gundam. It may likely be, if my theory is correct, that the reason the Solomon Gundams are all found floating or lying somewhere as lifeless relics is is because they went into sync mode. In other words, the sync is like how (Ein was it?) from 00 thought would happen with the Raiser if it went Trans-AM. the Solomon Gundams get a big boost in performance while everything is perfectly synchronized, then the backlash of the ahabs going out of sync leaves them lifeless and severely damaged internally. This may be hinted at in the OP where we see a fallen Barbatos behind Kudelia. Mika uses a synchronized Barbatos and it eventually runs itself into the ground. Wasn't this a problem with twin engine propeller aircraft? The engines had to be in sync or they'd rip the plane to pieces? I recall this in a Clive Cussler novel but never followed up if it was legit science. CC is known for weird stuff, but usually well researched stuff. Anyway, if this turns out not to be the case, I will assert your earlier idea that the modern Ahabs are just that much stronger than the old ones. It seems like the most logical explanation for Mika being the real power behind the machine. As already mentioned the only thing a Gundam has over a average Graze is peak output, the Grazer is better at every other aspect. -Lighter than the usual Calamity War MS, aimed for high mobility. -Other machines using the same frame exist but they were produced in smaller numbers and don't have almost any combat record. -Because of the Gundam Frame developed at the same time not many people knew about it. -Compared to other Calamity War MS the design idea is simple so energy loss is kept to a minimum. The Graze inherited this concept. -High maneuverability in space, minimizes the effects of gravity on the ground by a having a nimble footwork. However, center of gravity control is essential when receiving a massive blow, if the pilot makes a mistake in melee combat it can easily crash with the enemy MS. I had been looking at the Grimgerde the other day and thought to myself it looks like it could be a graze prototype. I'm surprised though, I would have figured with the swords being that color it would have a special nano laminate or some other special material. ''Strengthened 5th Form base for the final battle''. BTW Masked Man uses a variation of the Biscoe Class as his personal ship. 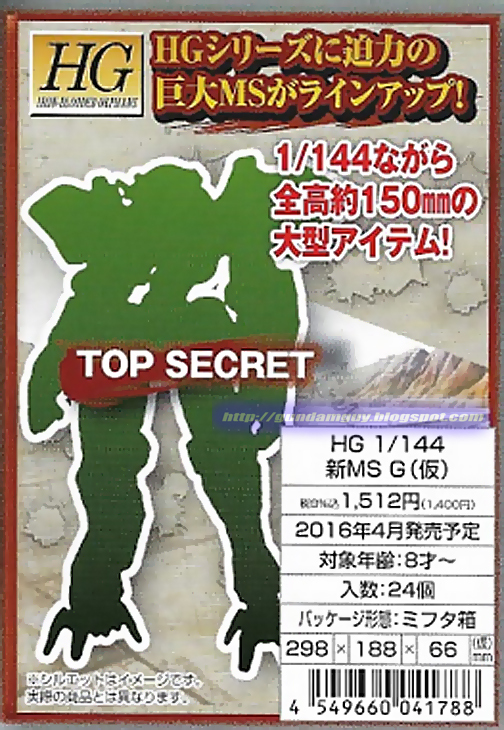 so no new gundam just 3 gundam will exist? Curious, which form is the fifth form? 5th Form is the one we're gonna see debut in ep 19 this Sunday. It's Barbatos 6th form but with the 4th Form's shoulders/chest plus Schwalbe's waist boosters repainted and the arm weapons seem to be pile bunkers instead of the guns in 6th Form. That's pretty much it for the IBO MS: the Hyakuren upgrade, Barbatos 5th Form and Knight Graze(though this one seems to be a hybrid) all debut this Sunday and the website will give info/lineart on them on Monday. All that's left to reveal is the Kimaris upgrade(will be spoiled in HJ this month) and MS G which seems to be the final boss using Valkyria Frame. Thanks, I've been mostly skipping the OP after the new one started so maybe that's why I'm not familiar with it. Rather than the shields rotating to deploy the blades, i think it says that the blades can be deployed by rotating from its stored position inside the shields. Also, the nimble footwork while on ground seems to be the result of minimizing the effects of gravity instead of the cause. Since we know the Hyakuren can change equipment for ground-use, I wonder if the new Hyakuren variant is also just a change of equipment to better fit the combat environment in ep19 (or even beyond?). It was a quick dirty translation, I will check when I do the full translation. That last sentence on melee combat is the weirdest I've seen yet on the IBO manuals, but I think it just means the pilot must be good in melee combat or else he hits his opponent accidentaly. The new Hyakuren must be the light armor variation, we will know for sure Sunday or Monda. My interpretation of the last sentence on melee combat is something to the effect of if the machine wants to land a heavy blow, control of the centre of gravity is important. A piloting mistake can cause the close combat blow to transmit/transfer little energy, and the blow will easily bounce off the enemy's armor. E08 wrote: My interpretation of the last sentence on melee combat is something to the effect of if the machine wants to land a heavy blow, control of the centre of gravity is important. A piloting mistake can cause the close combat blow to transmit/transfer little energy, and the blow will easily bounce off the enemy's armor. Yeah, just checked the manual and your interpretation is the correct one, thanks. But every source I have says the 見舞う verb means to be struck by a misfortune so I think the first clause is about defense and the last 2 about a weak attack. You are also right on the stored Blade itself rotating and the nimble footwork being used to reduce the gravity effects. BTW the Rebake manual mentioned the pilot is shown only the electromagnetic flow while in sniper mode since his eyes can't see at such a long distance. balofo wrote: Yeah, just checked the manual and your interpretation is the correct one, thanks. But every source I have says the 見舞う verb means to be struck by a misfortune so I think the first clause is about defense and the last 2 about a weak attack. I see, i'm not that well versed in japanese. Perhaps, one of the posters who have better japanese can clarify that part for us?